NOTE: This content is old - Published: Friday, Oct 12th, 2018. Detailed plans have been submitted for a gas-fired power station to boost the energy supply on Deeside. Approval was granted for the five megawatt station on land next to Factory Road in Sandycroft by Flintshire Council officers in January. Conrad Energy, the company behind the proposals, has now applied to discharge a number of planning conditions relating to flooding, road access and the environment in order for the scheme to go ahead. They said the plant was designed to generate electricity at short notice to fill an energy gap’ within the local electricity network. In a planning statement, they said: “The flexible power plant is an essential facility in the provision of a secure and sustainable energy supply. “This will be most commonly required at times when renewable energy sources fail to generate sufficient electricity, or alternatively during short periods of exceptional demand for energy. An emergency plan has been submitted as part of the reserved matters application, detailing the proposed evacuation points. The submissions outline road access arrangements, including details for large and emergency vehicles. A risk assessment has also been included to ensure the safety of people working on the site during construction. The company added: “The proposed facility would comprise three combustion engine electricity generating sets that together would generate a total of approximately 5MW of energy fuelled by natural gas. 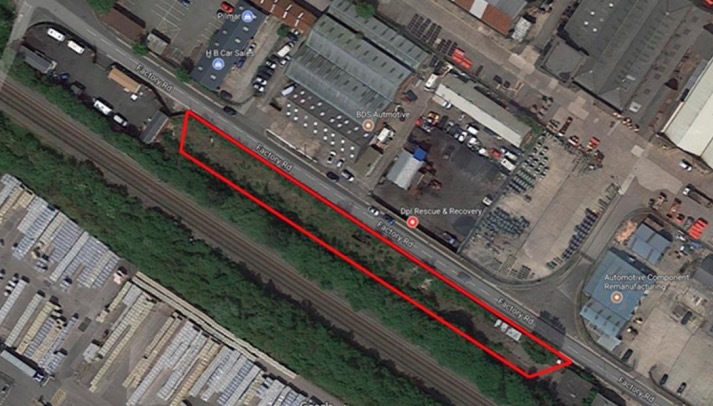 “The proposal would include the erection of the engine generator sets, electrical equipment, gas supply equipment, exhaust silencers and stacks and engine control room and would be accessed from the existing entrance on Factory Road. During the six months it will take to build the plant, 10 jobs will be created. The company added that the maintenance of the site would also create additional long-term employment opportunities, which would be sourced locally where possible. It is estimated that Flintshire Council will decide whether to approve the latest details by December 1, 2018. By Liam Randall – Local Democracy Reporter.